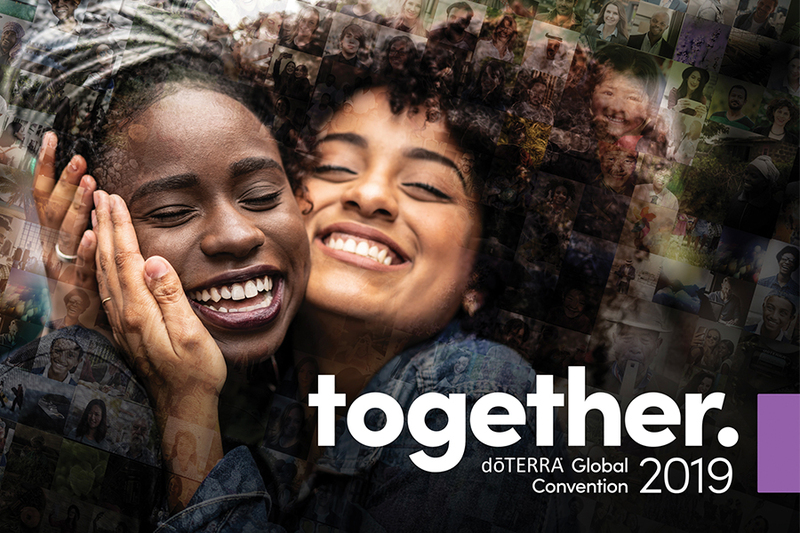 The 2019 Together Global Convention will be held September 10–13 and tickets are $169. We’ve already sold over 22,000 tickets so space is limited—make sure to reserve your spot today! If there’s any event to attend this year, this is it. When you attend Convention, you are joining thousands of like-minded people who are passionate and motivated to make a difference. Together we are creating a global movement. Together we can change the world. One person, one drop at a time. Building relationships is just as important as building your business, and when you attend Convention, you have the opportunity to make lasting relationships. You must purchase a Full Conference Pass in order to purchase Activity Tickets (Gala, Yoga, Empowered Success Training, etc). If you do not purchase a Full Conference Pass, your Activity Tickets will be cancelled/refunded. April 1–August 20. A ticket can only be transferred once. To process your ticket transfer, email convention@doterra.com or call Member Services with your transfer request. Payment for transfers is arranged by you entirely. We do not transfer the payment to the new ticket holder. We can only transfer your entire order, meaning your general session ticket and all additional activity tickets purchased will be transferred. This includes Gala, Empowered Success Training, and Campus Tours. To transfer individual activity tickets, simply hand them to whomever you would like to transfer them to on-site at the event. Payment is arranged by those involved. Free April 1–August 20. Email convention@doterra.com or call Member Services with your cancellation request. Track changes are possible based on availability. We cannot make any exceptions if tracks are already full. Email convention@doterra.com or call Member Services for track change requests. Nursing infants are welcome. Children under the age of 14 will not be permitted unless express written consent is given by doTERRA. If consent is given, a separate ticket for the child will still need to be purchased. No children will be allowed in the Gala, but nursing infants are welcome! Email convention@doterra.com or call Member Services for convention related requests.